This week’s title is about as far as one can get from last week’s Otaku no Musume-san and still have strong similarities. 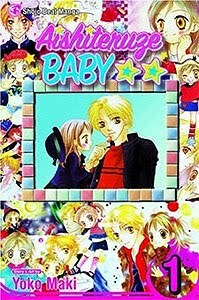 Aishiteruze Baby by Youko Maki is a shoujo manga about a high school student named Kippei. He likes to spend his time macking on girls and being a lay-about. He has never been serious about anything, even the girls whom he flirts and makes out with off and on. He comes home from school one day to discover a young girl he doesn’t know. His family convenes in a meeting and informs him that this girl is his cousin Yuzuyu. He has never meet her before but is now in charge of taking care of her. It’s an odd choice but no one else in the family wants to deal with this responsibility. They all feel a little put upon by this burden thrust upon them by Kippei’s Aunt who has mysteriously ran off. Early on in the story is about Kippie adapting to having Yuzuyu in his life. When I first heard of the title I thought most of it would be about how he begrudgingly takes care of her and hates her for ruining his life. In fact this is not the case at all. He takes the whole situation quite well, perhaps charmed by Yuzuyu's sweet nature and cuteness. I felt this was a refreshing move. The early parts consist of learning how to dress Yuzuyu, make her bento, making sure to pick her up from pre-school, and such. Atop this there are a few minor story lines in the beginning but the main meat of the story is about Kippie balancing his life with Yuzuyu with the first girl he has ever taken seriously, Kokoro. I had watched the anime before I read the manga and I can say they are not very different. There are a few minor things that were toned down from the manga. Like a knife becomes a bike chain in the anime. Yuzuyu's Mother is also far less sympathetic in the manga. Not that she is out right terrible but damn does she do some dumb stuff. I was hoping that the manga would go past the ending of the anime because I wanted more. I wanted to see the further adventures of these three characters as they grow up and together. The end almost feels like it just stops but when I think about it the stopping point makes sense. This story is really about Kippei's journey to being mature and at the point where it ends he has achieved that. 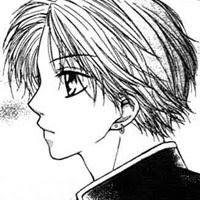 The art is about as typical shoujo as I can think, but in this case I rather like it. The panels are the less structured style that prevails in shoujo, but they are very full of large characters, and there are lots of actual backgrounds. It does depend a lot on vague screen tone backgrounds but they are handled very well and are are not distracting. 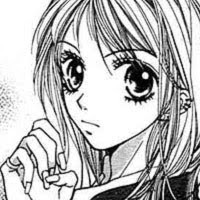 The characters are very well drawn and have a much more substantial feeling to them then a lot of other shoujo titles. If you like shoujo style art then I can't imagine not liking the art in this series. Over all I really enjoyed the story. It's a slice of life but it does have some serious dramatic moments in it and does raise a lot of questions about responsibility without being depressing about it. I also appreciated the fact I found the main female characters relatable in some way. I often find it hard to relate to the main characters of shoujo manga because more and more they tend to be boring doormats that have no interest in anything but in romantic relationships. I was happy to see that wasn't the case here. 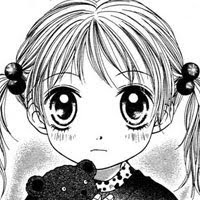 If you like shoujo or stories with really cute and moe characters Aishiteruze Baby is worth looking at.